The Guatemalan gangs came for him when he was only 12 years old. He asked to be called “Jaime," not his real name. He is now 14 years old. He spoke to us in Spanish and we’ve translated his words here. Jaime left his mother, his home and his country to come here to the San Francisco Bay Area. To get here, he risked starvation, dehydration and a harrowing ride on the roof of a train some call “The Death Train.” Without family or documentation, his life here life is uncertain, but he says the trip was worth it all the same. Tens of thousands of children have been forced to make the same choices as Jaime. They’re part of a record-setting rush of immigrants picked up along on the United States’ southwest border with Mexico in the last nine months. While Mexican immigration remains relatively steady, there’s been a surge in immigration from Central American countries. The number of unaccompanied children from Guatemala, Honduras and El Salvador picked up by federal agents at the border has more than doubled in the past year, to 51,705. NBC Bay Area’s Investigative Unit spent two months traveling between the Mexican border and the Bay to get the inside stories from the youth who flee violence in their countries to come to the US. The Investigative Unit rode buses with immigrants making their way north. 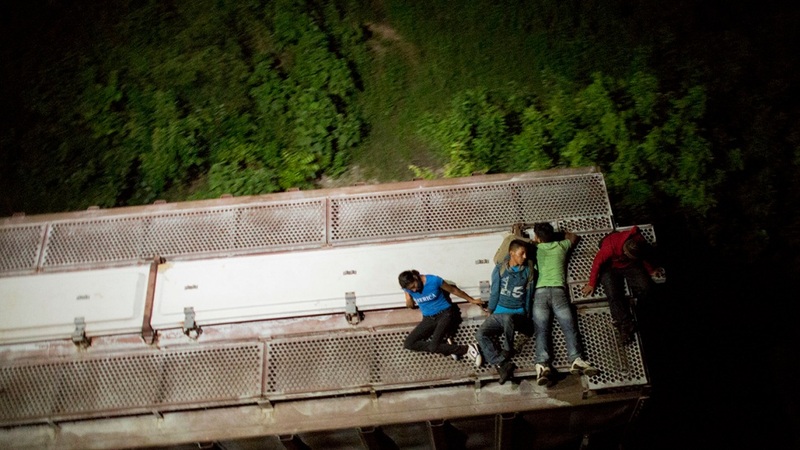 To get to the US-Mexico border, Jaime said he first had to spend five days on the roof of a train some call “La Bestia” or “The Beast”. It’s also known in Central America as “El Tren de la Muerte” or “The Death Train” because so many people fall off or die riding it. Jaime survived “The Death Train” and made it to the desert where he spent another three days crossing the barren landscape on foot. Eventually he was apprehended by US Border Patrol. Federal agents processed him but allowed him to travel to the Bay Area by bus. With the drastic influx of Central American immigration, this is now common practice when apprehending undocumented immigrants. “Darianna,” as she asked to be called, is another child who fled violence in Central America. She fled Honduras after she witnessed her friend shot in the head and killed by gang members. She was just 13 years old. Darianna spoke only Spanish. We’ve translated her words here. She told the Investigative Unit that one day, gang members confronted her and a friend while they were on their way home from school. She, too, rode “La Bestia”, and survived. Then she, too, spent days crossing the the desert to arrive at the US border. By then, she says, the ordeal was so traumatic that it was a relief to be picked up by US Border Patrol, even though she was held in confinement for two months. United States officials acknowledge the unprecedented mass exodus of unaccompanied minors who’ve swamped our immigration system in the last several months. US officials maintain that while there was a peak in Central American immigration over the summer, the numbers have since declined. But the Investigative Unit observed a steady stream of refugees that has not ceased. Back in the Bay Area, Sister Maureen Duignan said she sees at least two unaccompanied minors seek help at East Bay Sanctuary Covenant every day. “Many of the children know that their parents are here somewhere and they’re looking for them,” said Duignan, executive director of the Covenant in Berkeley. Sister Maureen says the Covenant, which is supported by several local Protestant and Catholic churches has given legal help to at least 65 unaccompanied minors just since June, 2014. “It’s a crisis for them because if they don’t have representation—legal representation—they’ll probably be deported,” said Duignan.